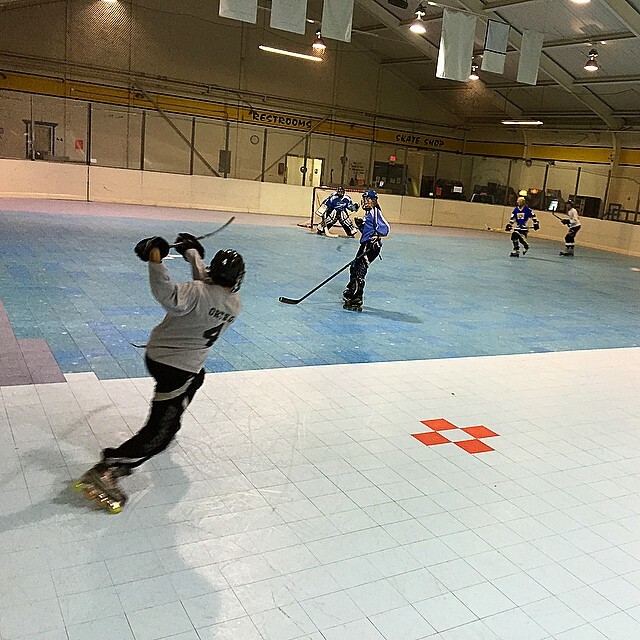 CCSA offer’s a variety of Adult Roller Hockey Clinic’s, Leagues and Tournaments year-round. Whether you would like to learn to play hockey for the first time, or you’ve been playing for years – we have a program suited for your. A “Team” consists of 10 (up to 12) players per team and 1 (up to 2) goalies. Adult “Hockey 101” is $100 for 6 – 1 hour long sessions. What is “Team Pay”? “Team Pay” gives the team the opportunity to bring in their own pre-built team. With less control from the staff, you have more ability to customize your team. If you want to play with 6 players vs 8 players, you can. “Team Pay” cost is $1,600.00 (saving the team $75) which the captain is responsible for paying for in full before the start of the season. All Players must sign up in person to guarantee their spot on the team. A TEAM consists of 8 (up to 12) players per team and 1 (up to 2) goalies. This will be coordinated by the Team Captain and the CCSA League Director. CCSA has authorization to make changes to any team rosters at any given moment. Season length is 10 games. Teams are not guaranteed a Playoff, or Championship spot. Players who sign up as a Free Agent will be assigned to a team by the CCSA Director. For inquiries, sign up below. Game nights and times are subject to change. Do You Have Hockey Equipment? Do You Have Any Experience In Hockey? Where? Please Explain. Questions/Comments?